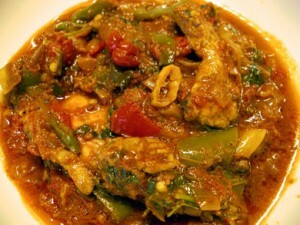 Chicken Jalfarezi recipe by Komal Baji at DesiRecipes.com. Looks delicious! And, thank you for having the recipes in English!! I can't read Urdu and I really want to learn how to make Pakistani food!! Thank you and keep up the great work!! salam & ramazan mubarak. yes offcourse it is a very tasty dish coz i eat it in a hotel and i also want 2 cook it in home but plzzzzzzz i request u that write it also in urdu too every 1 dont know english . thanks.............. with regards. your recipie is not bad. you need to add salt and you can even add Tish Masala, i added them both and that made the recepie good. please add tish masala and salt your recipie will burst with more flavor! also you could make it a bit spiceier. Thank you hope you add my tips to your recipie, it was good. i would like to try but seem so confusing . i agree that it should be rewritten plain and simple . i have eaten this stuff before and like it . OMG VERY BAD TAKE ENGLISH CLASSES YOU REPEAT WORDS MAKE EASIER! kindly write this recipe again becuase i am very confuse please write with easy words.